Most toners are a total false economy and are often only useful to make the skin ‘feel nice’. They usually provide very little function and it’s a total myth about them removing excess cleanser; there is never excess cleanser as long as you’re using one with water. 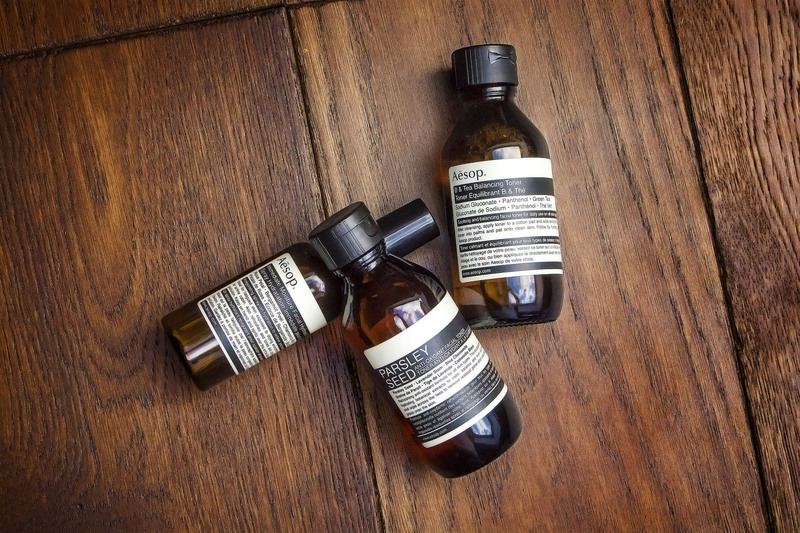 So, what makes Aesop toners different? They’re brilliant treatments! I’ve finally kicked the habit of calling this the BLT toner where as the Tea is for Green Tea and the B… well I’m not sure but most likely the main ingredient Aloe Barbadensis, the base for this beautiful toner. Designed for oilier, problem prone skin (like mine, particularly at the moment) it contains that soothing aloe vera base, with witch hazel, skin conditioning sodium gluconate, hydrating panthenol, earthy ylang-ylang for brightening and the protecting antioxidant powers of camelia sinesis aka Green Tea! It really does help to both sooth and for want of a better word, disinfect, the surface of the skin; particularly helpful if you’re prone to spots and breakouts. There’s a tiny amount of Benzyl Alcohol (which is most likely naturally derived knowing Aesop) that’s being used as a preservative, but other than that this is great for skin that’s misbehaving without being harsh or astringent. 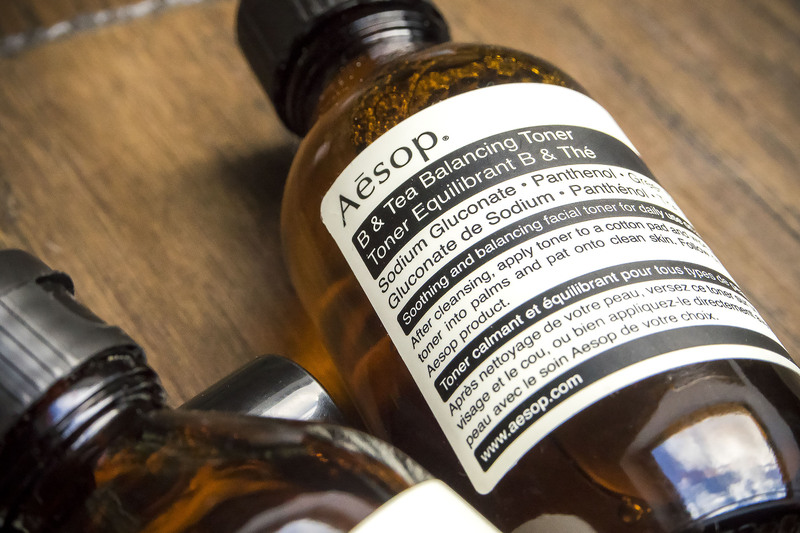 Aesop B & Tea Balancing Toner is available here from Mankind for £37 (the 200ml size) with free delivery and supposedly 19% off for new customers when you use the code ‘NEWCUSTOMER‘. Aesop’s great all-rounder range for normal skin types that just need general maintanence and upkeep. Designed to calm, balance and maintain healthy skin function it contains a blend of Parsley Seed extract (a super-duper antioxidant), lavender stem and blue chamomile. The base of the toner is again aloe vera and witch hazel (I should point out neither are really ‘witch hazel-y’) which are two very soothing and antibacterial ingredients making this great at helping to prevent the odd, infrequent outbreak. You don’t have to but I find this is best stored in the fridge. Firstly, because of how unbelievably amazing it feels; secondly because the cooling toner will close up pores from your hot shower and finally because it keeps it away from sunlight so will preserve even longer (they last a good while anyway). Aesop Parsley Seed Anti-Oxidant Toner is available here from Mankind for £43 (again the 200ml size) with free delivery and again that 19% off for new customers when you use the code ‘NEWCUSTOMER‘. This should be a fragrance all on its own with a blend of Demascan rose petal, bergamot oil and roman chamomile! All these ingredients are wildly calming, conditioning and the ultimate travel companion and perfect for dehydrated skin. The Facial Hydrosol can be used as a morning toner, just spritzing it straight onto the face (another great one to keep in the fridge). However, I find it’s even more perfect when travelling; particularly as an emergency bathroom spray when you’re mid-flight both to protect your skin from the recycled oxygen, and to help prevent it drying out. As soon as you spray, your skin goes “ahhhh” as it instantly relaxes. 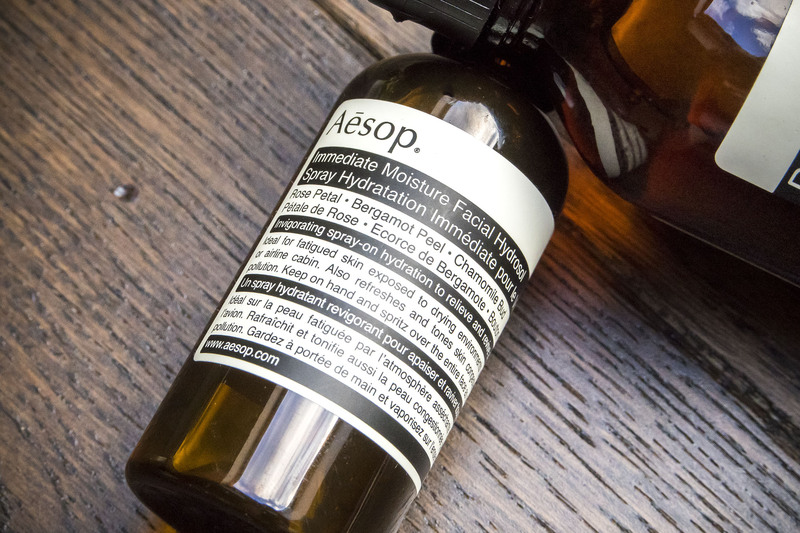 Aesop Immediate Moisture Facial Hydrosol is available here from Mankind for just £17 with free delivery and trying not so sound like a robot, again, there should be 19% off for new customers when you use the code ‘NEWCUSTOMER‘. This article first appeared on MANFACE written by Thom Watson. It was published on Wednesday 17th February 2016 and was last updated on Monday 3rd April 2017 at 1:09pm. It's categorised under Acne, spots & blemishes, Aesop, Anti-Ageing, Combination Skin, Dry / Dehydrated Skin, Oily Skin, Tone where you'll find more related content. Like you, I have oily skin! Just wondering if you have tested the Amazing Face Cleaser? Also, as for Aesops exfoliant range… do you know or use any of their products? 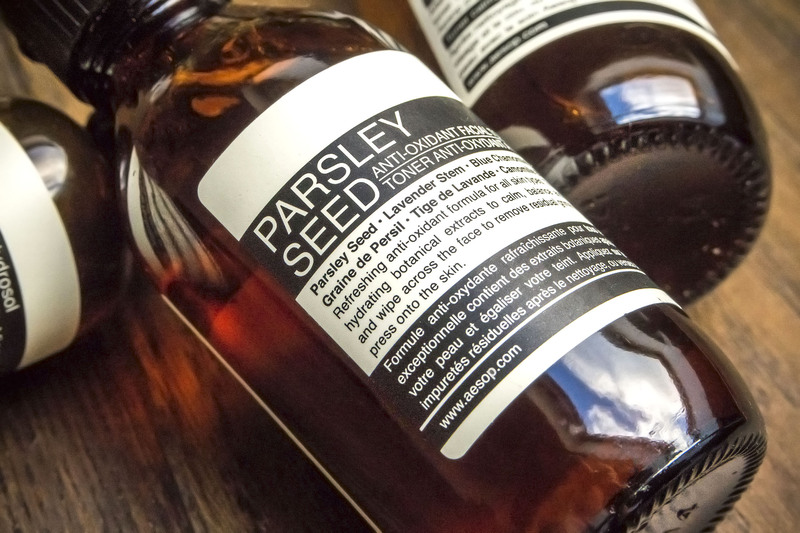 I am trying to choose between the parsley seed masque or the Tea Tree leaf exfoliant (but that might be too harsh on my skin)… any help would be appreciated!! Downloaded the app btw – brilliant! !